It’s fitting that an episode about vision is particularly beautiful. 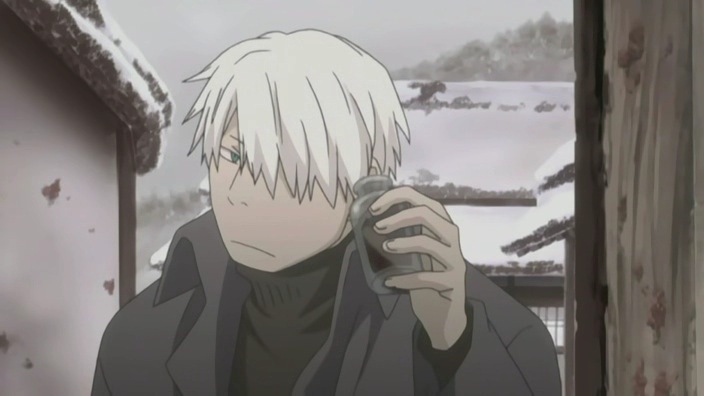 What I love about Mushishi is that almost every episode is the “best episode yet”. This episode was positively cinematic in its execution and proves once and for all that fire is bad. Another excellent episode of the show that justifies all anime love. Ginko comes to an island like Heaven and discovers a case of nature versus nurture, and of mushishi versus the natural order of life. 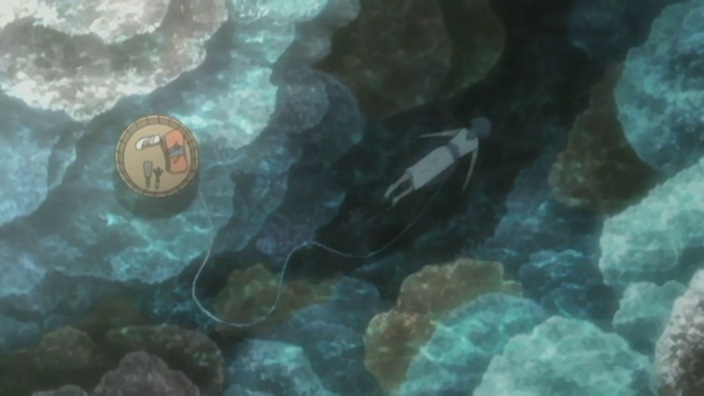 This is one of the more morally ambiguous episodes of Mushishi. Anyway, that’s not the point. The point is that Ginko is back with a vengeance, and he’s not going to let your peasant sympathies get in his way. Ginko is a placebo for the world, who can tell someone one thing while meaning another. As long as his deceptions are not discovered, there are no problems. I miss Ginko already. He’ll be back in May for six more episodes, so it’s not all bad. 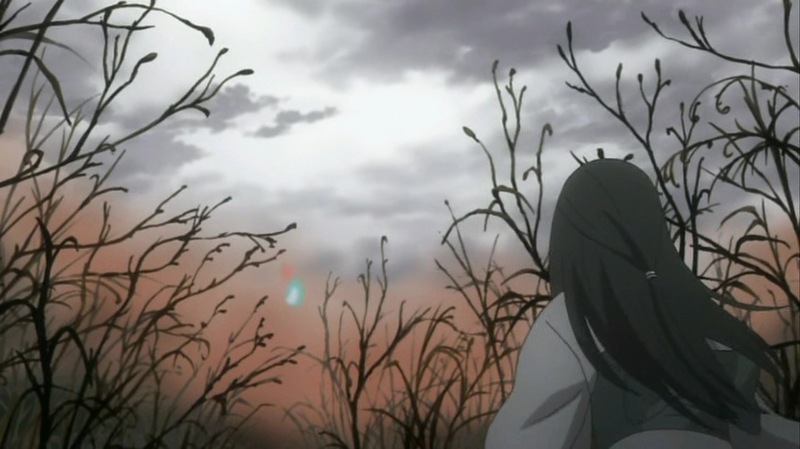 I’m not entirely sure how you can have an uplifting episode of Mushishi when there are so many deaths involved. Somehow, this is that episode. It deals with success, nostalgia, block, exile, acceptance and rehabilitation in an admirable fashion. Did you ever wonder how, given that he has no fixed address, Ginko receives all of these letters asking for help? The answer is provided in this episode, a triumph over adversity. 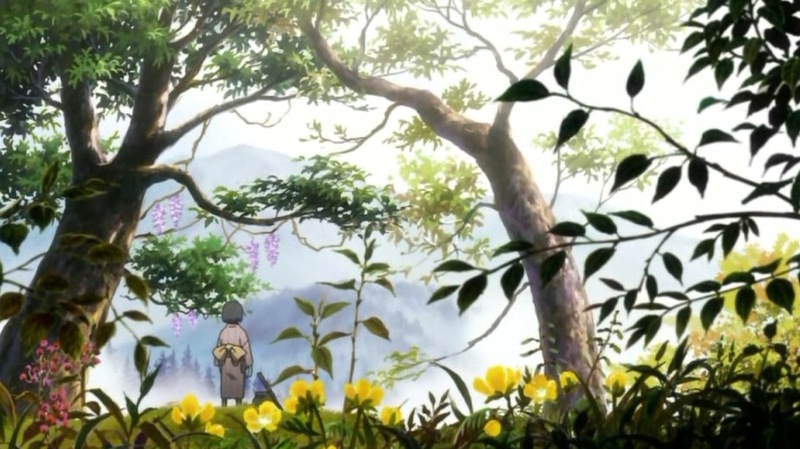 The first episode of Mushishi with no real conclusion: a life lived a day at a time, and a meditation on the value of memory.